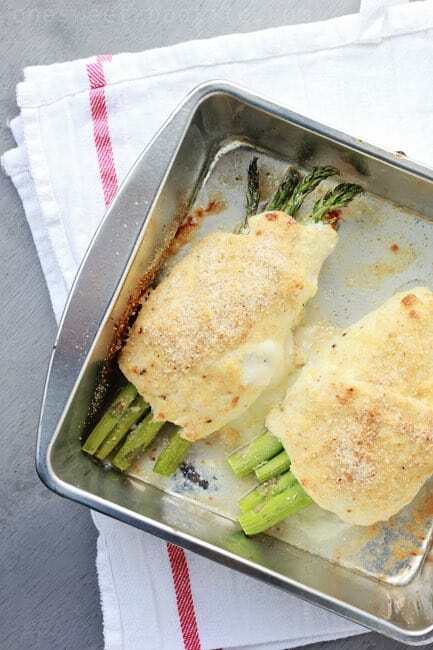 Take advantage of in season produce with this AMAZING Asparagus Stuffed chicken Recipe! Tender, juicy, and packed with cheese – this is a great dinner recipe! I wanted to create a fresh recipe that really showcased some of the amazing produce I had to chose from this last week. The asparagus was just calling my name. It is so pretty and so simple to cook. Typically, we like to saute with a little butter and garlic or bake it with some olive oil, salt, and pepper. 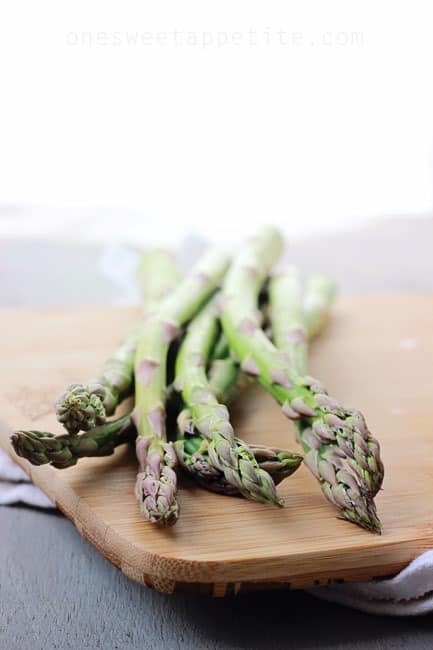 It is a great spring vegetable that will really compliment any meal. This vegetable is so versatile. It pairs amazingly well with the chicken and cheese which makes it a TOP recipe here at One Sweet Appetite. It even has the stamp of approval from my very picky 9 year old. Which means it is permanently in our rotation as an easy weeknight dinner recipe! The dish turned out so much better then I had hoped. I was worried about the creamy sauce getting a little too brown and the cheese leaking out of the side. While there was a little bit of escaped cheese a majority stayed in place. Not only was this simple to whip up but it looked pretty impressive as well. I like to think of it as a more fancy version of a chicken cordon blue. The sauce gives it such a nice tang. I will be whipping this up the next time we have company for sure! 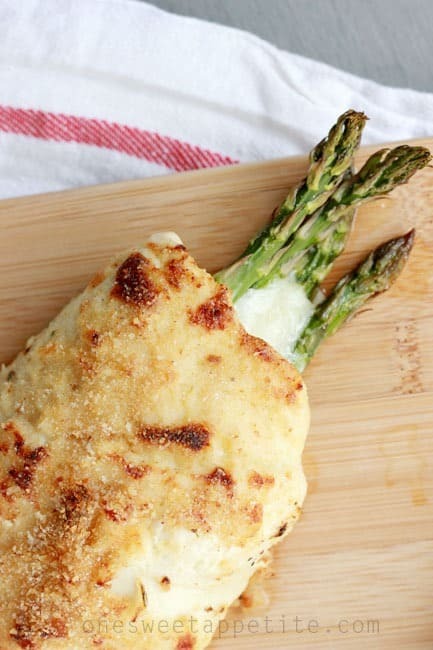 Take advantage of in season produce with this AMAZING Asparagus Stuffed chicken Recipe! Tender, juicy, and packed with cheese - this is a great dinner recipe! Start by preheating your oven to 425 degrees and line a baking dish with foil. Set that aside for later. Combine the mayonnaise, dijon, seasoning, zest, and lemon juice in a small bowl. Stir to combine. To flatten your chicken simply place in a large Ziploc bag and pound with the bottom of a large pan. Layer the chicken, cheese, ham, and asparagus. Roll tightly and place on your prepared baking dish. Brush a generous amount of the sauce onto your chicken and sprinkle with bread crumbs. Bake for 25-30 minutes or until you chicken is cooked through. I love harmons, if only for the fact that its the closest grocery story to our house – like so close I can walk there. But I haven’t noticed the fresh food aisle of the nutritionist green labels – I’ll have to keep my eye out for those! I didn’t know they buy local – I love that! This chicken looks SO AMAZING! Will you come make it for me for dinner? YES! Come over for dinner and we can make you one of those hanging feather mobile’s too! This looks so amazing. I’m not sure I could get Sean to eat it with the asparagus but he can just eat the chicken and I’ll eat all the asparagus! I am in love with Harmons for all the same reasons you are. Plus, they have so much cheese! I love Harmons too! Beautiful picture. This looks delicious! These look delicious! And I have asparagus that needs to be used. Thanks for the dinner idea tonight! Harmons is awesome! Most grocery store bakery items are so gross to me but I love that Harmons put love and thought into their products. Using all butter is so great! This recipe you made looks SO good! Pinned it! Oh!! I wanna win!! I LOVE Harmons!! Harmons always has the good stuff! This recipe looks amazing BTW! The recipe looks delicious!!! And thank you for the awesome giveaway! 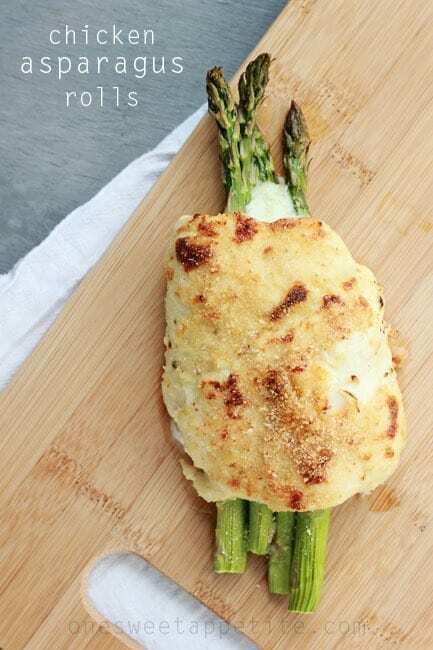 I’m typically not an asparagus person, I am growing a taste for it slowly, but wrapped inside that chicken with the cheese! Sounds delicious! Soooo jealous I don’t live up north. Totally wanted to come hang at Harmon’s with you! Love Harmon’s meat and produce . This looks so good. Thanks for sharing the recipe. Can’t wait to try it. Pick Me!!! Pick Me!!! Spending $250.00 at Harmons I can do! I wish we had a Harmon’s in Logan. I miss the special ground meats you would do for me when we lived in Nephi and came to the 800 N Orem store. Mmmm – I want this!!! Looks so delicious! Gotta love Harmons. They are pretty much amazing. I’m not a fan of Chick Cordon Bleu, but love the look of your dish! Definitely on my list of dishes to try. And that cheese oozing out? YUM! I had no idea that Harmon’s had cooking classes! Now I will have to check it out.. I used to live super close to one and now I’m sad that I’m super far away from one… And your recipe look delicious! Just wanted to say thank you for the recipe! Whole family loved it (and believe me these kids are picky). As a guy who likes to cook I had to chime in for the testosterone clan:) Keep the recipes coming and keep on cookin’! So glad it worked out for you and your picky eaters! And thanks for speaking up for the men! This is STUNNING. 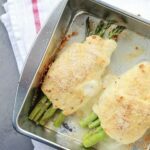 Asparagus is my kiddos favorite vegetable, so I already know they’re going to love this! Thanks Rachael! It really is a good meal. And pretty easy to change if you don’t love the sauce. I’m not a fan of lemon with chicken. Can I substitute chicken broth In the sauce? Or not? I love everything else in ur reciepe though. Thank u for the yummy dinner idea……. God Bless u All!!!!!!!!!!!!!!!!!!!!! Hi Melissa! Chicken broth should would just as well. Thanks for taking the time to comment!